Training of Facilitation Team on Integrated Water Resource Management: Module 1. Author: Haule, L. (2011, April). Abstract: One of the pre-requisites in the process of putting in place the Kikuletwa Catchment Forum is development of training materials to be used for Training of Trainers (TOT) programme covering topics in Integrated Water Resources Management (IWRM), entrepreneurships; community participation; gender and other cross cutting issues relating to WRM, climate change and adaptation strategies and the contribution of water resources in poverty reduction. 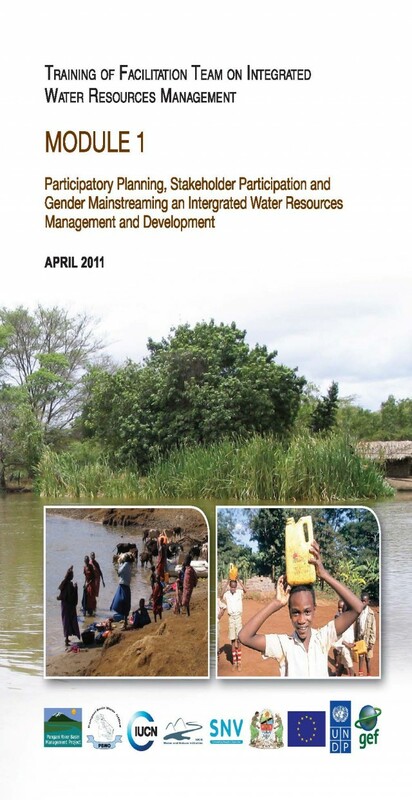 This first module is divided into three parts: participatory planning for integrated water resources management; stakeholder participation in integrated water resources management; and gender participation in water resources management and development.